So, if you’re taking a break from the booze this month, please don’t become a hermit! We have so many alcohol-free options for you; from Cocktails and Beers; to our delicious range of Smoothies and Milkshakes. Best of luck to the ‘new you’ and Happy New Year! As another year draws to a close we wrap up warm and cosy in for the next few months. Autumn always provides a wonderful palate to enjoy, with traditional spices and fruits always playing a role in our seasonal creations. This year we’ve taken inspiration from orchard fruits and festive flavours to bring you our unique creations of food and cocktails. Check out our new drinks menu here. Our food menu has really expanded this year and we’re so happy to be delivering high quality, small batch produce made exclusively for us by @Beehivefood. Come and get 3 seasonal small-plates for £14 or try one of our larger dinner specials for only £7. We also have our Winter Warmers range for you, featuring our home-made mulled cider & wine, luxurious hot chocolate and other favourite toasty tipples! Make sure you visit us soon to enjoy our seasonal offerings. Pictured: What is a Quince? – a delicate balance of gin, quince syrup and rosemary; served with candied almonds, cured ham and poached quince. Well, we’ve nearly made it through another Winter and the signs of Spring are appearing. We have lots to look forward to in 2015 and one of the early features is the change of our Seasonal menus. We’ve been working on a new approach to the food and cocktails at Proof and are looking forward to sharing the results with you. Fresh tasting light bites to mix and share with friends with some plates matched to seasonal cocktails too. We usually target the Easter weekend as our launch, which this year falls on the first weekend of April; although, expect a few early-bird treats after the Spring solstice (March 21st). We’re so pleased you could join us on our new website; lovingly crafted by popmatik. Our new internet home will allow us to keep you up to date with the various goings on at Proof. A one stop Proof-orama…. Upcoming events will be promoted through here as well as tying in our social media presence. You can read about other services on offer to you on Proof Event Services. 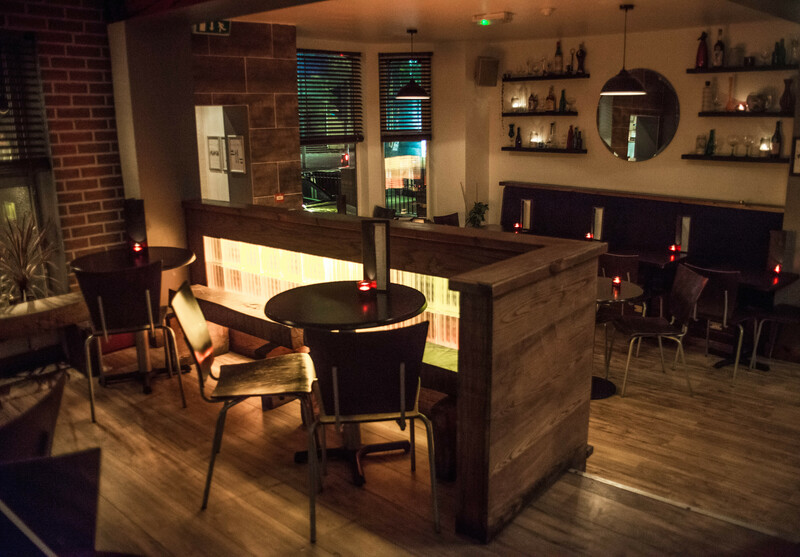 You can see what’s on offer over the bar and take a peak at our seasonal menus. Have you tried any of the latest food available? It’s perfect for a sharing over a few drinks. Please have a look around, share with your friends and give us any feedback. @theBarebones Yes, but less hungover!